Road Trip! There is nothing quite as good as a road trip. Unless, it’s a road trip to see family and friends. That makes it even better! 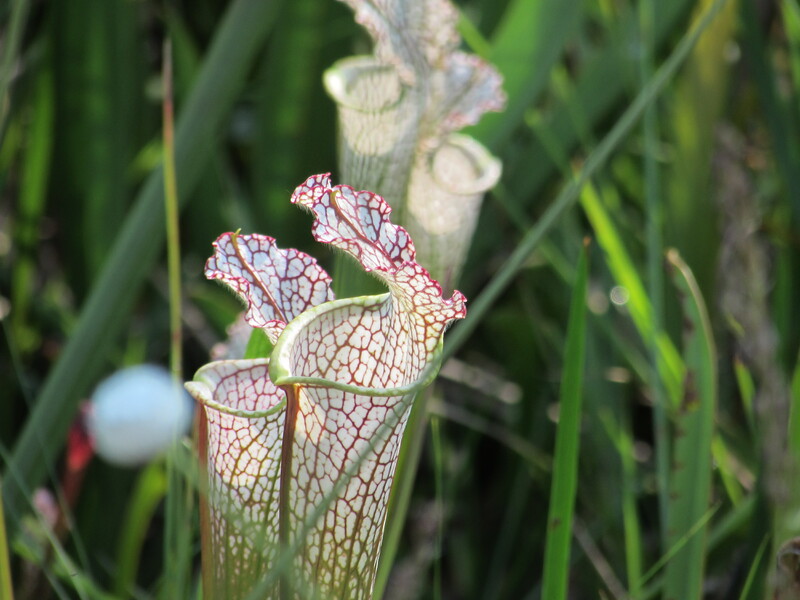 I was able to visit recently, a Pitcher Plant Bog. These are very unique. It takes a very special ecosystem to support these carnivorous plants. 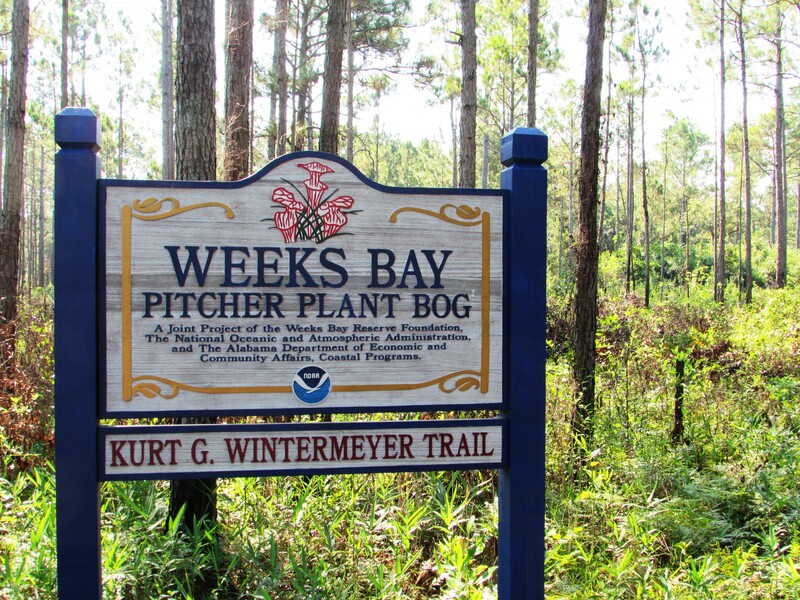 Addie and I were able to visit this bog on a very quick trip to Gulf Shores, Alabama. Which is almost Florida. Almost. The house was amazing, The food was amazing. The company was amazing. The Netflix was amazing. I NEED the internet back in my life people. Anyway. On to the plants! Who would think, looking at these beautiful flowers, that they eat living creatures. Can’t judge a book by it’s cover folks! One little mistake, and there goes the fly! 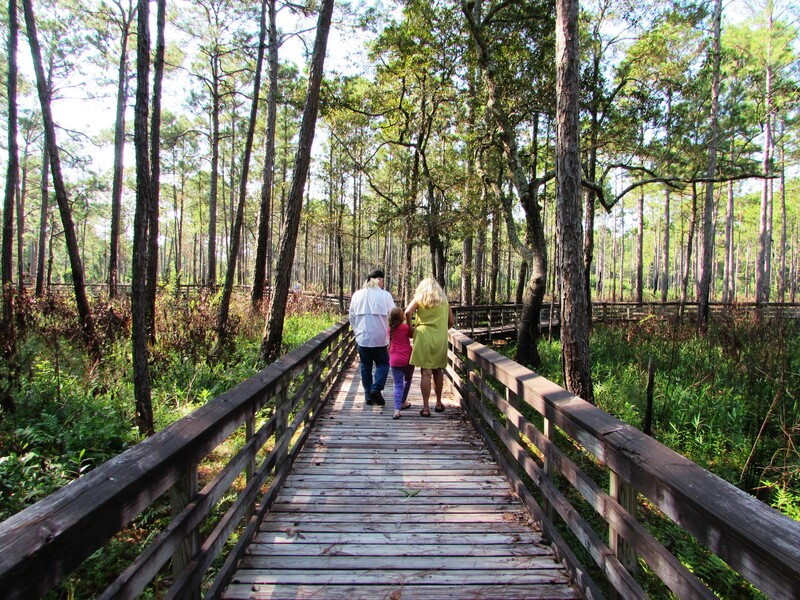 We traveled along a lovely boardwalk going throughout the bog, and out to the river. There were also lots of lovely ferns, cypress trees and their knees…..
and butterflies and fuzzy caterpillers! 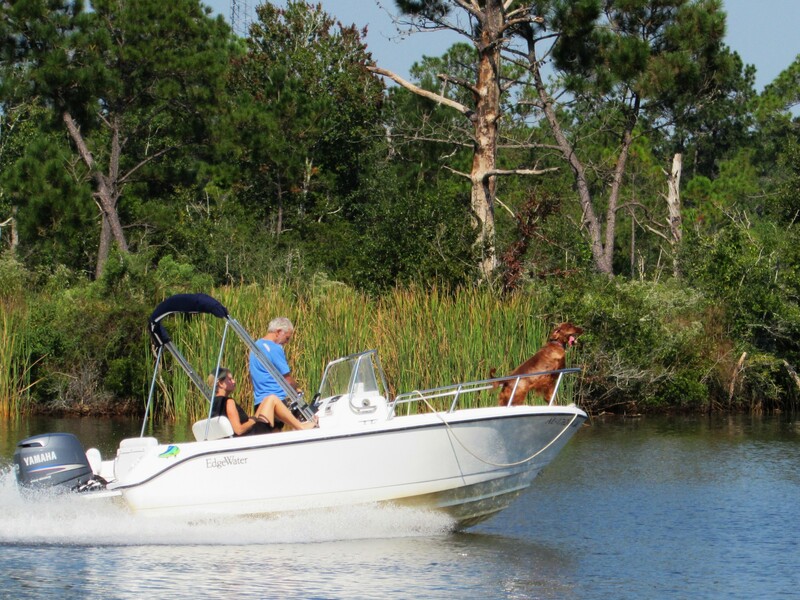 If you are ever around Gulf Shores, take a few minutes to visit the Pitcher Plants, you will be glad you did! 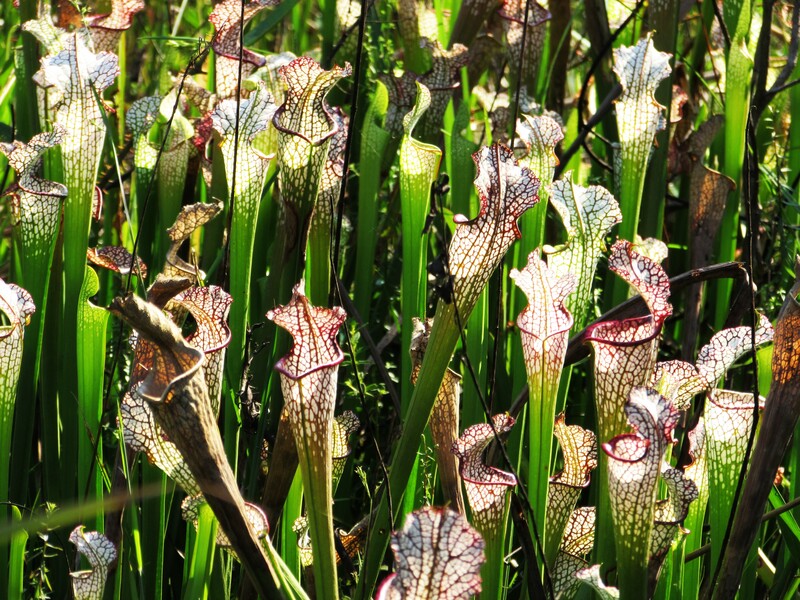 I want Pitcher plants surrounding my house to eat these dadgum flies, skeeters and gnats! Beautiful place!